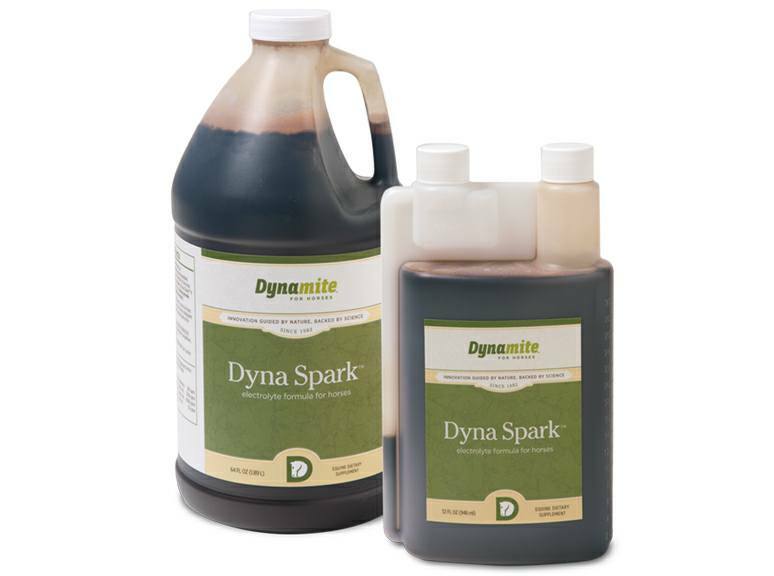 Dyna Spark is Another great Dynamite product to keep on the shelf! 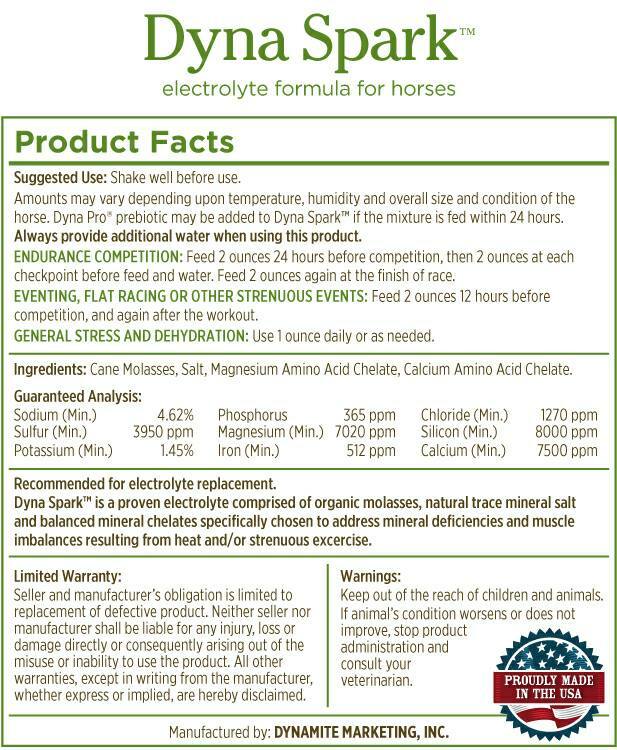 I mixed the medicine powders with an ounce or so of water and half an ounce of Dyna Spark. Then I poured the mix over 2# alfalfa pellets (and the rest of her normal stuff), a slosh of Dyna Pro and she licked the feeder clean. The added bonus, she is back to her happy perky self and drinking normally again (2-3x what she was drinking at the clinic and first 2 days home).